Not many of us can claim to have pounded the streets of Kuala Lumpur as part of a 21km run, fallen off Mount Murud, Sarawak’s tallest mountain (and survived! ), or sailed down the Linggi River in Negeri Sembilan in search of crocodiles. But Sharon Cheah can! And that’s only scratching the surface of her whirlwind tour of Malaysia. 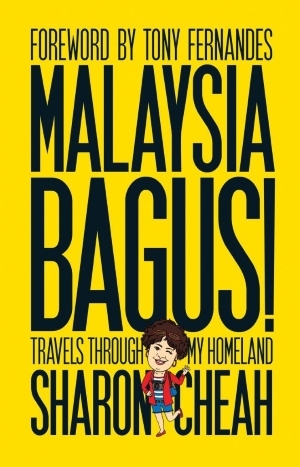 This was a journey that spanned five years as Cheah, a Malaysian journalist, set the goal of visiting every state in East and West Malaysia, to really get to know her homeland.The result? A fascinating series of travel essays spanning history, culture, religion, environment, food, and myth and archaeology. From a homestay in Kelantan to visiting one of the top three rainforest research centres in the world (in Sabah), come discover Malaysia as you’ve never seen it before. Malaysia Bagus!